MV Agusta hosted a media launch for its new Dragster 800 this week in France. Although the weather wasn’t ideal for motorcycle riding, our Euro correspondent, Tor Sagen, brings us the following quickie ride report. Stay tuned for the full review. 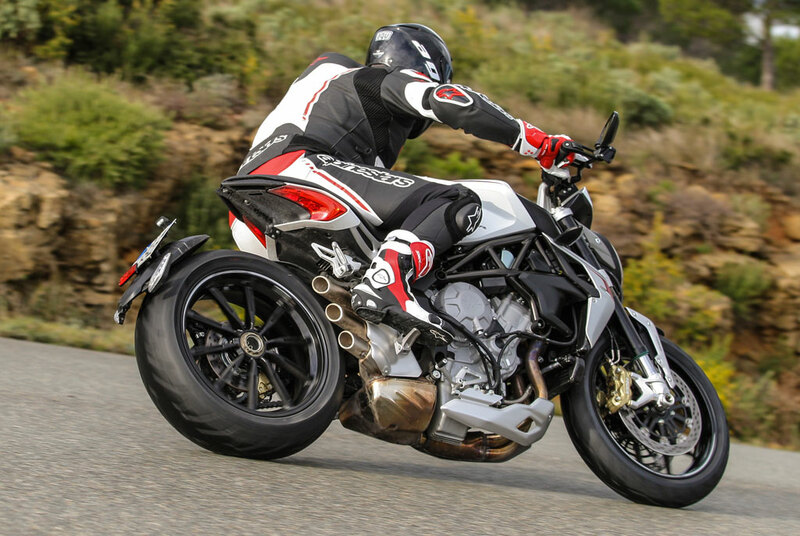 The MV Agusta Dragster 800 is the black sheep in the MV Agusta family. While both the Brutale and the Rivale are capable motorcycles, the Dragster strives to be even naughtier. Not necessarily better on the road but somewhat more exciting. The Dragster is the third incarnation featuring the 125-horsepower Triple, and the engine gets addictive as soon as you can open it up. And open it up I certainly did down the Mistral straight at the Paul Ricard circuit. 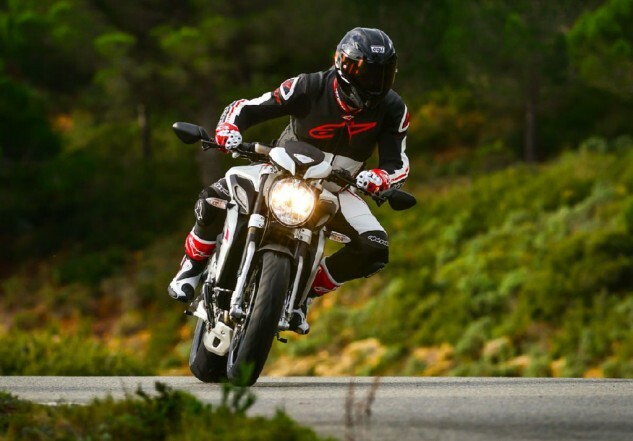 A new 200mm rear tire offers superbike-like handling characteristics. The new 200mm rear tire digs in exiting corners like only a superbike can, but the Dragster is equipped with rather tall handlebars that are adjustable. The brakes are more than sufficient for track riding, but I turned the ABS off on the circuit. However, I had good use for the ABS brakes when riding on the damp, French roads, and they’re a very good addition to the road models. The road test also included a comparison opportunity between the Dragster and the Brutale, and it’s mainly the large rear tire and more stable front end that differentiates the Dragster from the Brutale 800. A tiny seat provides the rider with limited options to alter his position. Its main highlight is the new handling with the fat rear tire. Its main low is the tiny seat, which left me no room to alter the seating position. Much more to follow in my full review soon!